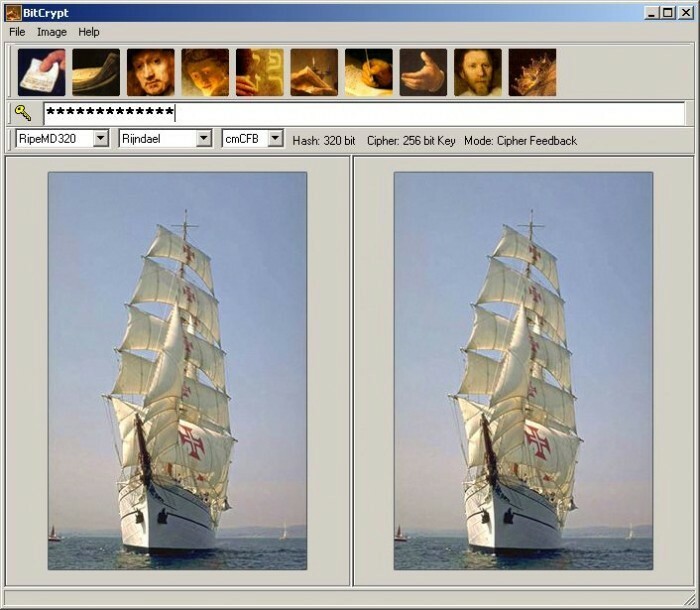 BitCrypt is an elegant encryption application allowing for storage of text within an image. It is designed for persons who wish to store or communicate information in an invisible manner. The main strength of the program is the ability to hide the information from any unauthorized observer. The encryption is not visible, and the encoded text does not seem to be present in a seemingly unchanged image. While encrypting, BitCrypt modifies the individual pixel shadings of the image, and in this way incorporates the textual information. 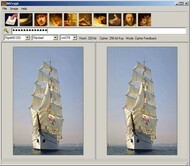 The modification of the image is so small that the effect is not perceptible to the human eye. The program uses stego technology to achieve this objective. BitCrypt has been originally designed with Intelligence community in mind. However, it became a favorite tool of anyone wishing to communicate in an invisible manner. The text is encrypted with one of the strongest encryption algorithms in order to strengthen the level of security. The program is distributed in completely functional form as donation-ware. Metal Gear Solid & Splinter Cell game play.